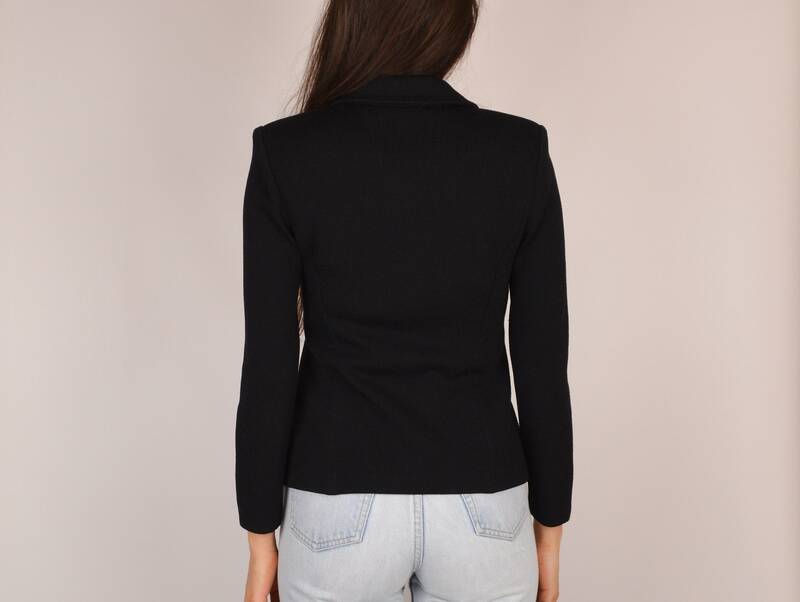 Vintage black knit jacket with gold crest buttons. Shoulder pads can be easily removed if desired. So cute and stylish with an ultra flattering fit. Made in USA and beautiful quality. This is one piece that is even better in person, trust me!